On 20 July 2017, Nelson Mandela University was officially renamed: the only university in the world to carry the name of Nelson Rolihlahla Mandela. With this name we will be honouring Nelson Mandela by leading our University into a new era of powerful innovation and change. It is an era where our South African identity combines global self-assuredness with locally actualised intellectual approaches and practices applied to economies, environments, lifestyles, cultures and traditions. It is an era of respect and sharing with the aim of advancing the needs, lives and aspirations of all our people. We assume the responsibility of being able to stand up and say what our University is doing to improve society and to change the world for the better, which Nelson Mandela dedicated his life to doing. We are honoured that the naming of our University has the full support of Mandela’s eldest grandson, Mandla Mandela, the head of the Mvezo Traditional Council and the custodian of the family. It is our unique privilege as a University to pay tribute to Nelson Mandela, a man who became the world’s moral compass and one of the greatest leaders we have ever known. Who we are and what we are becoming as an innovative 21st century institution of higher learning is our way of taking responsibility for the Mandela legacy and ensuring that it is reflected in the way that we teach, learn, do research, engage with our communities, and work and live as students, staff, alumni and our partners. Nelson Mandela Metropolitan University (NMMU) opened on 1 January 2005, the result of the merging of the PE Technikon the University of Port Elizabeth (UPE) and the Port Elizabeth campus of Vista University (Vista PE). This union of three very different institutions came about as a result of government’s countrywide restructuring of higher education – intended to deliver a more equitable and efficient system to meet the needs of South Africa in the 21st century. The first Chancellor of NMMU was Chief Justice Pius Langa, and Justice Ronnie Pillay the first Chairperson of Council. Dr Rolf Stumpf was the first Vice-Chancellor and Chief Executive Officer of NMMU, succeeded on 1 January 2008 by Prof Derrick Swartz. 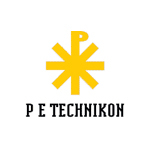 The PE Technikon has its roots in the country’s oldest art school, the PE Art School founded in 1882. The institution later became the College for Advanced Technical Education (CATE), initially situated in Russell Road, Central. The college moved to Summerstrand in 1974 and became the PE Technikon in 1979. The Teachers’ Training College in Summerstrand was taken over by the Technikon in 1994, becoming known as the College Campus, and the Algoa College of Education became part of the PE Technikon in 2001. Situated in Struandale, approximately 25km away from the Main Campus, this became known as the Algoa Campus. The PE Technikon expanded to the Southern Cape in 1985 when it took over the College for Foresters, Saasveld from the Department of Forestry. The George Campus expanded in 2001 with the purchase of the Hurteria Building in the centre of the town. At the time of the merger, PE Technikon had more than 10 000 students. The institution’s last Chancellor was former Speaker of Parliament Dr Frene Ginwala, the last Vice-Chancellor Prof Hennie Snyman, and the last Chair of Council Mr Clive Stanton. The University of Port Elizabeth (UPE), the country’s first dual-medium residential university, came into being on 31 January 1964 with the adoption by Parliament of Act 1 of 1964. The first academic year commenced on 1 March 1965. 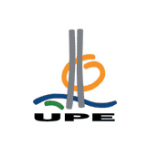 Initially situated in a series of buildings in Bird Street, in the historic Central district, UPE moved to a modern, purpose-built campus – incorporating residences, sports complex and the towering Main Building – in Summerstrand in 1974. The campus was officially opened in August 1975 and the final move from Bird Street came in 1979 with the opening of the science blocks at Summerstrand. The University retained some of its Bird Street buildings and these became the centre of community outreach activities. Built on 830 ha of land donated by the then Port Elizabeth City Council, the campus was declared a nature reserve in 1983. At the time of the merger, UPE had more than 9 000 contact students and almost 5 000 distance education students. The last Chancellor was Dr Brigalia Bam, the last Vice-Chancellor Dr Rolf Stumpf and the last Chair of Council Mr Trevor Jennings. 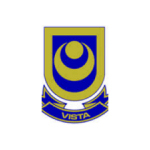 Vista University (Vista PE) was founded on 1 January 1982. Subsequently, seven decentralized contact tuition campuses were established, centred on township areas where the need for accessible and affordable higher education was most urgent. In 1982 the Port Elizabeth campus consisted of a small, prefabricated building patched between the national road to Uitenhage and the edge of Zwide township. Its location opened up access to higher education for many students from socially and financially disadvantaged backgrounds. The campus had its first academic year in 1983 and in 1991 a permanent brick structure was completed. Later additions such as the Conference Hall and Arena provided accessible facilities for the surrounding community for large events. With seating for 5 000, the Arena is the Eastern Cape’s largest indoor venue. Initially focused on the upgrading of teachers through its Education Faculty, in its subsequent growth Vista far surpassed the narrow field of expertise cut out for it, producing graduates in business, law, science and the humanities. At the time of the merger, Vista PE had approximately 2 000 students and was led by Acting Campus Principal Prof Miemie Struwig.